“The Interview,” which is already linked to a massive corporate hack, a U.S.-North Korea spat and an outcry over censorship, now has another claim to fame: it’s the most successful online film in Sony Pictures’ history. Available to stream and download since Wednesday via websites and platforms from various companies, including Sony, Google and Microsoft, “The Interview” generated over US$15 million in online rentals and sales through Saturday, according to the studio. The controversial comedy about an assassination plot against North Korean leader Kim Jong Un was rented or bought 2 million times online during those four days. It costs $5.99 to rent and $14.99 to buy. Apple began offering it via iTunes on Sunday. The movie also opened in limited release on Christmas Day in movie theaters, where it has grossed about $3 million, according to published reports. Still, Sony Pictures is far from breaking even, since, according to estimates from entertainment industry trade magazine Variety, the movie cost around $75 million to make and to market. The saga of “The Interview” began in late November, when Sony Pictures suffered a massive hack, and sensitive and embarrassing documents were released, including email exchanges from executives and salary information about actors. The hackers also warned that moviegoers who went to see “The Interview” would be harmed. The U.S. Federal Bureau of Investigation (FBI) later announced that it had determined that North Korea was responsible for the attack. North Korea’s Internet and mobile phone communications have reportedly been suffering intermittent outages since December 22, days after President Obama’s comments. However, the U.S. government has denied causing the disruptions. On Saturday, North Korea’s government released a statement lashing out at the U.S. government, accusing it of attacking its Internet operations. North Korea also referred to President Obama using insulting terms, blaming him for Sony’s decision to release “The Interview” after all. 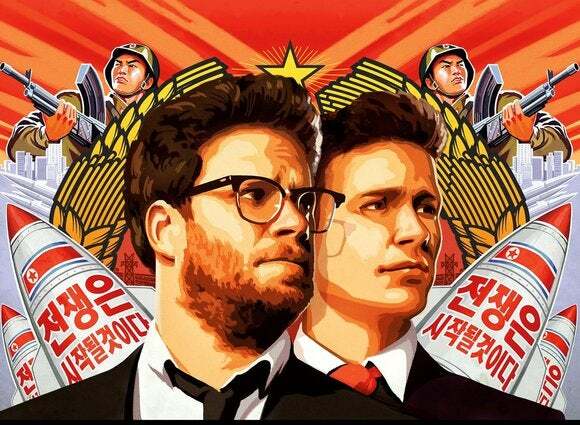 The Asian country has denied carrying out the cyber-attack against Sony Pictures.